Are you looking for experience in the health sector? Kitovu Mobile Ltd provides exciting and challenging volunteer and internships opportunities for you! 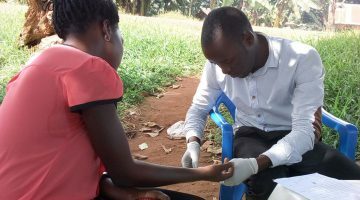 Kitovu Mobile works directly with people living with HIV/AIDS (PLWHAs). It provides anti-retroviral therapy (ART), palliative care and medical treatment for opportunistic infections. Copyright © 2018. Kitovu Mobile· All rights reserved.